One of my good friends lives in Greenpoint, Brooklyn, north of where I reside in Williamsburg. She has a car and I don’t so we often hang out in the ‘burg. 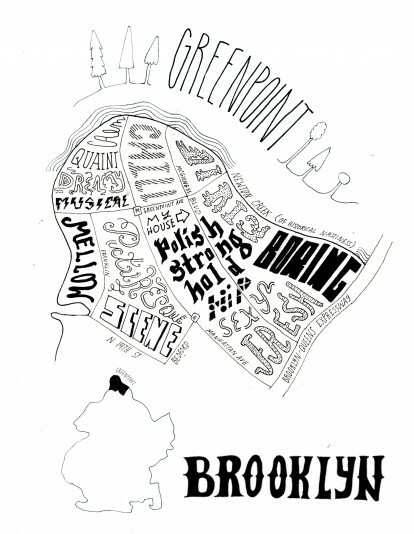 People act like Greenpoint and Williamsburg are the same. They definitely are not. On Sunday I went to Greenpoint. We planned to have brunch at the Manhattan Inn but my friend, who is gluten-free, noticed that the menu there changed and is no longer as GF-friendly. Instead we went to Enid’s and had a great meal and catch-up. I had the fried jalepeno grits with eggs in case you’re curious. Brunch for two – one entree each, a shared fruit plate and a large French press – came to $42 including tip. After brunch, we went to Cafe Grumpy to try to do some work. Yes, the place you have seen in Girls episodes on HBO. It’s one block from my friend’s apartment and a nice little spot. This entry was posted in Food, NYC and tagged brooklyn, brunch, Enid's, greenpoint, nyc, williamsburg on December 17, 2012 by onechicklette.